O2 has responded grumpily to Ofcom's proposal to allow Everything Everywhere to offer the first 4G network in the UK ahead of all other carriers. Earlier this week Vodafone complained about the unfair advantage which Ofcom had provided for Everything Everywhere and O2 looks to be singing from the same hymn sheet. Ofcom had set a deadline of yesterday (March 22) for networks to respond regarding its 4G proposals and both O2 and Vodafone have publicly voiced their opinions. Three has not revealed where it stands in this debacle, but told TechRadar earlier this week it's "making its case and finalising its response to Ofcom ahead of the March 22 deadline". In its statement to Ofcom, O2 highlights that it is all for the proposed 4G spectrum auction, but notes; "We are concerned that Ofcom's other proposal to allow one operator to launch 4G early on its existing spectrum is contradictory to its objective of delivering a competitive market environment with four competing players." Obviously O2, Three and Vodafone won't be best pleased if rivals Orange and T-Mobile are allowed to launch a 4G network ahead of them, especially as Ofcom has said all along that it wants to retain a competitive market. Everything Everywhere has said that Ofcom needs to make the upcoming 4G auction a fairer and simpler system, calling for the rules to be reviewed. "The auction proposals are too complicated and create a risk of producing outcomes that do not serve consumer interests. 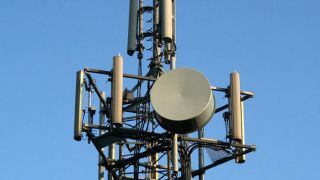 We would like to see the auction rules address the uneven distribution of the high quality low-frequency spectrum and simplified to ensure they can be effectively implemented."